RAPAPORT... Among the standout trends that have taken shape in the diamond trade this year is the poor performance of small and cheaper stones. But the drop in the so-called melee market has not been sudden. Supply levels in the midstream were high during the 2008 financial crisis and have remained so since. 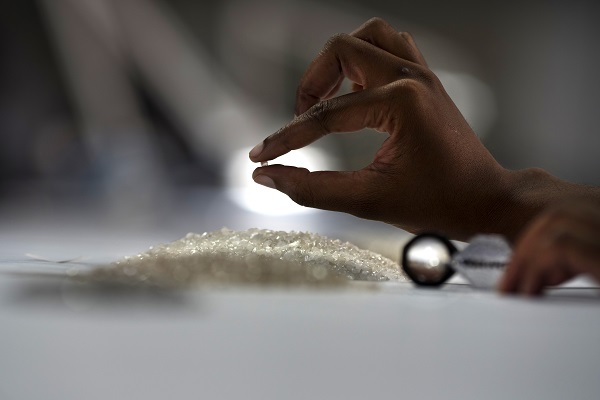 Inventory climbed significantly in 2017 as three new mines came on stream, leaving the market with an excess of available goods, and prices of small diamonds have dropped by up to 20% in 2018. However, the oversupply is not the only issue causing the slump. The November Rapaport Research Report outlines another three factors that have influenced the weakness in the melee market. Liquidity in India has tightened as banks have become more cautious in their lending to the industry, and the sharp depreciation of the rupee this year has further restrained demand. The wider acceptance of lab-grown diamonds has also played a role. Some retailers are shying away from natural melee because of the threat of undisclosed synthetics. In addition, there is a small but growing preference to use better-quality lab-grown melee rather than lower-quality natural stones that cost the same. Finally, technology used in jewelry design has changed the way small stones are traded, enabling jewelers to make specific orders by the millimeter rather than the carat. That has led to the melee market becoming more compartmentalized and selective than before, creating strength in some subcategories and weakness in others. These factors will continue to exert pressure on the small-stone market in the long term. That, in turn, will put another layer of stress on India’s manufacturing sector, which relies on these goods to sustain its factories and its large workforce. With rising labor costs, it’s questionable whether these diamonds are economical to manufacture at current lower price levels. Prices are expected to stabilize at the beginning of 2019: Jewelers will be restocking after the holiday season, and the break in manufacturing over Diwali will have eased the supply glut. However, cutting firms should not ignore the forces at play in the melee market. They will likely have to make some tough decisions in order to operate profitably in this environment. This article first appeared in the November edition of the Rapaport Research Report. To download a copy of the report, click here and login with your username and password, or learn more and subscribe today.